Pop. 147,427Sherbrooke was settled in 1793 by American Loyalists who declared its territory at the joining of St. Francis and Magog river. It is the only major city in the Eastern Township region of Quebec. Most of its growth occurred in the 1800s, with the relocation of the administrative center of the Saint-François judicial district and the creation of a railway network in the Eastern Townships. The 20th century saw a decline in manufacturing and textile industries and growing emphasis on commerce, education, and government services. Coinciding with its economic growth, the development of more cultural centers helped to revitalize the city. A recent population boom came in 2002 when Sherbrooke merged with surrounding cities. It is now composed of six boroughs: Brompton, Fleurimont, Lennoxville, Mont-Bellevue, Rock Forest-Saint-Élie-Deauville and Jacques-Cartier. 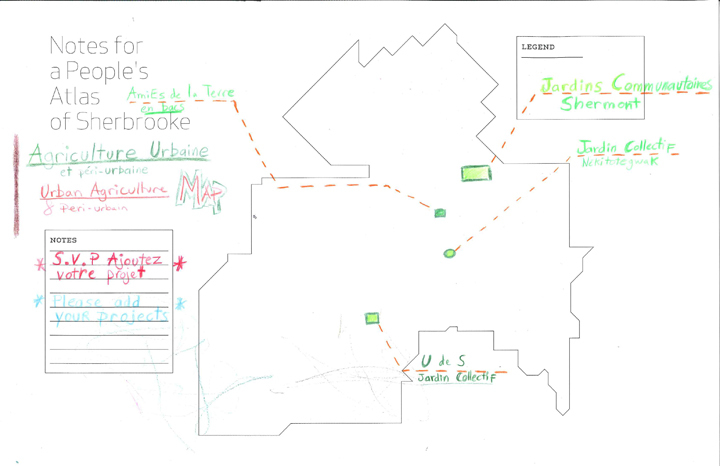 Notes: The maps were distributed to visitors to the museum and school groups as part of the educational programming.